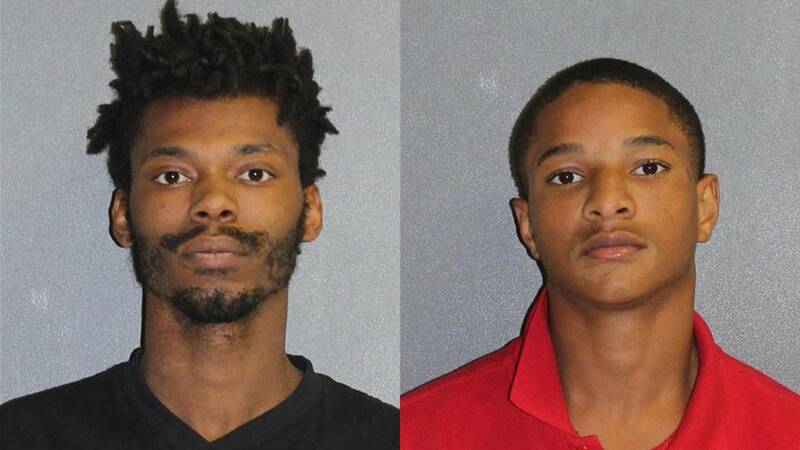 DAYTONA BEACH, Fla. - Three young men were arrested Tuesday after police said they beat up a Navy veteran who asked them to stop torturing a turtle, according to Daytona Beach police. Blough went outside and said he saw a group of three men repeatedly abusing the animal, according to the police report. "The one had it over his head and he was smashing it down on the sidewalk," Blough said. "I asked them to please leave it alone, just let it go to the lake." One of the men, later identified at Johnnie Beveritt, 18, picked up the turtle and threw it down on the sidewalk; the two other men, Ryan Ponder, 23 and a 16-year-old boy, kicked the turtle toward the apartment building away from the pond, the witness told police. Blough told police that the turtle was trying to crawl away but was seriously injured and unable to walk. He told his wife to call the police after the suspects did not stop attacking the animal, according to the report. After that, two of the suspects struck Blough with their hands, fists and feet. "They started hitting the back of my head and started punching me. I was able to fend off a little bit but I mean three of them, got the better of me," he said. Blough told them he did not want to fight, one of the attackers said “I don’t give a f—and I don’t care if I go to jail,” according to the arrest report. Ryan Ponder, 23, and Johnnie Beveritt, 18 are charged with beating a Navy veteran who tried to stop them from killing a turtle in Daytona Beach. The suspects continued to beat Blough until neighbors came out and the suspects ran away. A Daytona Beach police officer captured all three suspects and the victim’s wife positively identified them as the attackers, according to the report. Blough told police he is a disabled veteran who was seriously injured in the Persian Gulf War. First responders said the victim suffered injuries during the attack including broken skull and facial bones, internal bleeding and a concussion. Police did not know how the injuries would affect him long term. Blough's wife set up a GoFundMe account to raise money for his extensive medical expenses. She said Blough will need surgery on his eye after the beating. Blough said he hopes the men are punished for what they did and would intervene again, without a doubt. "Yeah, I'd do it again and take the beating again if it meant saving that turtle," he said. Police found the turtle, dead, floating in the pond in a puddle of blood. “The animal likely suffered greatly during the time it was being battered by the three defendants,” the officer wrote in the arrest report. All three men are charged with aggravated battery and animal cruelty. News 6 is not identifying the 16-year-old.